Ahead of the deadline for UCAS applications, a survey of 1,500 recent school leavers has revealed that two thirds of their teachers were most likely to urge them down the path of higher education, along with 59 per cent of their parents. For the most part however, school leavers said parents were supportive of whichever path they decided to follow, though one in five believe their parents pushed too hard to get them to make a specific decision. While seven in ten school leavers asked their parents directly what they thought they should do with their lives, only around one in eight actually followed the advice given. “In recent years we’ve seen more and more young people and parents question the value they get from a traditional degree. The fees and associated debt quickly rack up with a full time degree, and owing £50,000 before you get your first job should really encourage all young people to look at the options open to them. The good news is that there are now more alternatives than ever before to the ‘traditional’ university route with Accountancy and Professional Services leading the way. We managed over 25,000 applications for accountancy and finance related apprenticeship roles last year, many of them with very attractive starting salaries. These young people will end up with a great qualification, no debt and relevant experience – the one thing that money really can’t buy." “For many school leavers university remains entirely the correct option. However, it’s not the only one available and many may not realise that there are alternatives available, including high-quality apprenticeships and trainee schemes which can unlock the door to a long and successful career. In the accounting industry, for example, we see thousands of people each year who left school at 18, got a job and qualified a year earlier without the student debt that graduates built up. In addition, it did not harm their long term career prospects." As part of the study, AAT also spoke to 500 parents of school leavers to uncover how they assessed their own involvement in their child’s decision. Some 62% of parents said their children had come to them for advice on what they should do when they leave school. Fifty six per cent recommended that they should continue on to university, and one in seven thought they would benefit from taking part in an apprenticeship. Around three in five parents (58%) thought university might cost more than it was worth to their child, and one in four didn’t think a university degree would ultimately help them to get into the career they wanted to. Importantly, 72% of parents believe apprenticeship schemes and further training courses have become a more viable choice for school leavers in recent years, according to the survey conducted by OnePoll.com. "Many young people are about to submit their UCAS forms to apply for university; and that route will get a lot of attention. Even with rising university fees adding a pressure on household finances, there is still only a minority of parents who are suggesting university alternatives to their children. It’s essential that each young person is given the right advice for their individual strengths, to give them the best chance of having a successful career, even if that means advising them that university might not be the best option for them. There are other options to explore, including apprenticeships and traineeships, advertised by sources such as Get My First Job." 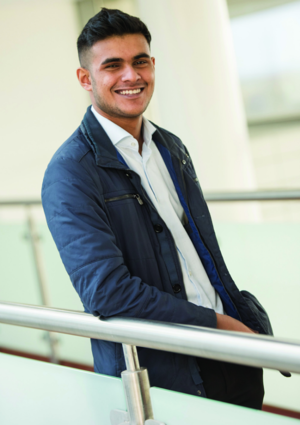 "Taking the AAT route meant that I could gain valuable experience from professional people in accountancy,” said Ryehan, now 20. The apprenticeship offered me a debt-free way to get qualified, as well as earning a salary whilst learning. At the end of my studies I will have a highly respected qualification behind me, teaching me all the qualities needed to be a successful accountant." "My college weren’t able to offer me much support when it came to me searching and applying for an apprenticeship. I felt that, in some quarters, there was a belief that to succeed, you need to go to university." Ceara Stephenson was studying for AS-Levels in Finance, PE, Maths and Applied Science and considering what she wanted to do next, when she found out about the AAT apprenticeship route into accountancy. “I realised that I needed AAT qualifications to become an accountant, which is what I wanted to be,” says Ceara, now 19. I took a job at TaxAssist Accountants in June 2017 at the end of my AS-Levels. 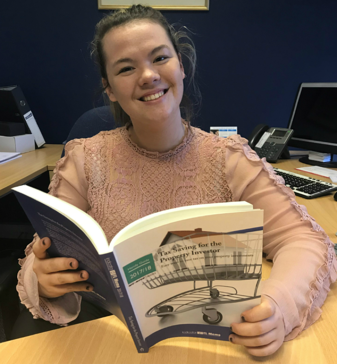 I am now an Accounts Assistant, earning a salary and talking to different clients, helping them on their individual financial issues and guiding them to the best solution." As part of her training, Ceara, from Batley, Yorkshire, attends college one day every week, studying for AAT’s Professional Diploma in Accounting. “My employer is great with supporting my training,” Ceara adds. "Not only do I attend college each week, but I am encouraged onto other training courses throughout the year so I am kept up to date with new developments in accountancy. Other members of staff also offer helpful advice as they all have their AAT qualifications. AAT has massively aided my career as I can understand accounting processes more clearly. After learning it at college then it is immediately put into practice, which really helps me to understand."